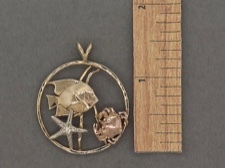 Handmade on St John by resident artist Tom Krall. 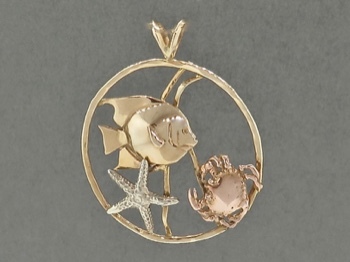 One of a kind sealife creation made of beautifully contrasting yellow, rose and white 14kt gold. 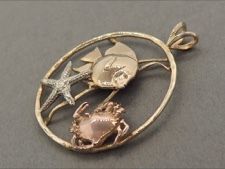 If you are remembering your last snorkeling trip or dreaming about the possibilities of some day visiting St John, this is the very special treasure for you!